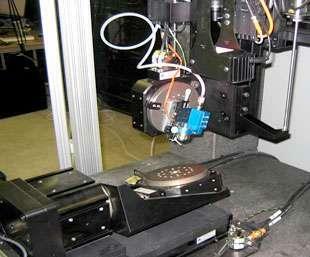 VDK 4000 is a Flexible Robotic Environment direct write system. This is currently the only 6 DOF direct write system on the market. 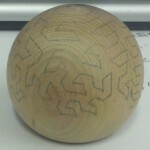 Present direct write technology allows printing on 2D flat substrates or on substrates with simplistic 3D architectures. 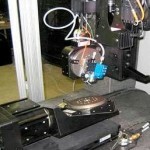 Such systems are primarily intended to print on flat or near flat substrates. The deposition head is held in a fixed position and the stage moves back and forth in the XY plane. For simplistic 3D architectures, the deposition head needs to be manually tilted to a 45° angle. This greatly limits the complexity of the substrate which can be deposited-upon at one time, and increases the number of steps needed to make a simple deposition. With the VDK 4000 direct write system printing can be done on an extremely complex 3D substrate without defocusing the deposition or the need for manual movement of the deposition head. This allows for more accurate depositions to be made with much lower part finish times. VDK 4000 comes with graphical CAD-to-motion path planning capabilities. Follow this link to all our product informational handouts. Check out all of Flexible Robotic Environment’s System Videos on YouTube here.